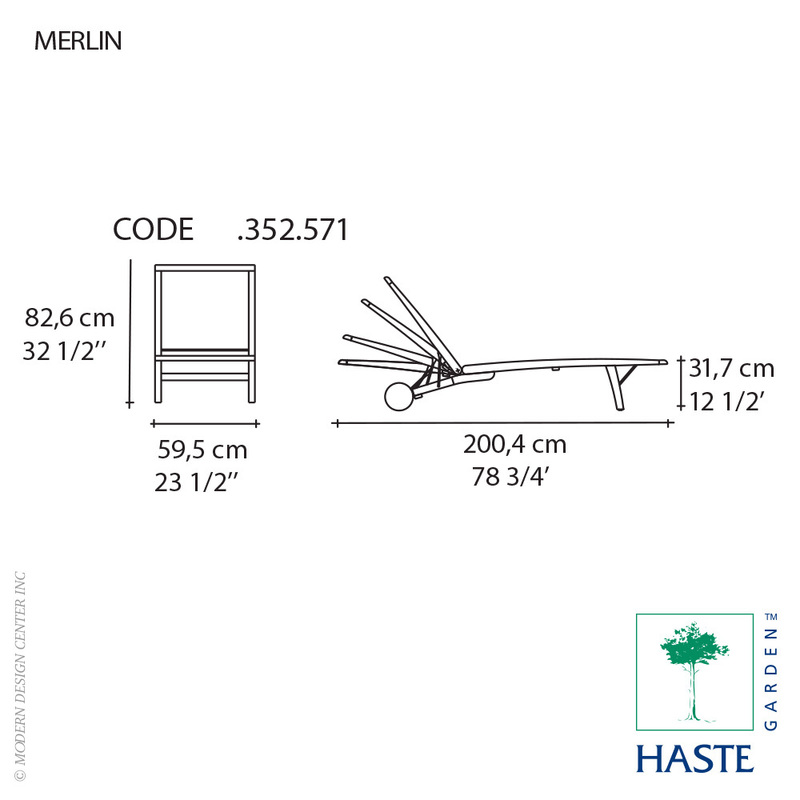 Merlin is an elegant option for enthusiasts of dining outdoors. 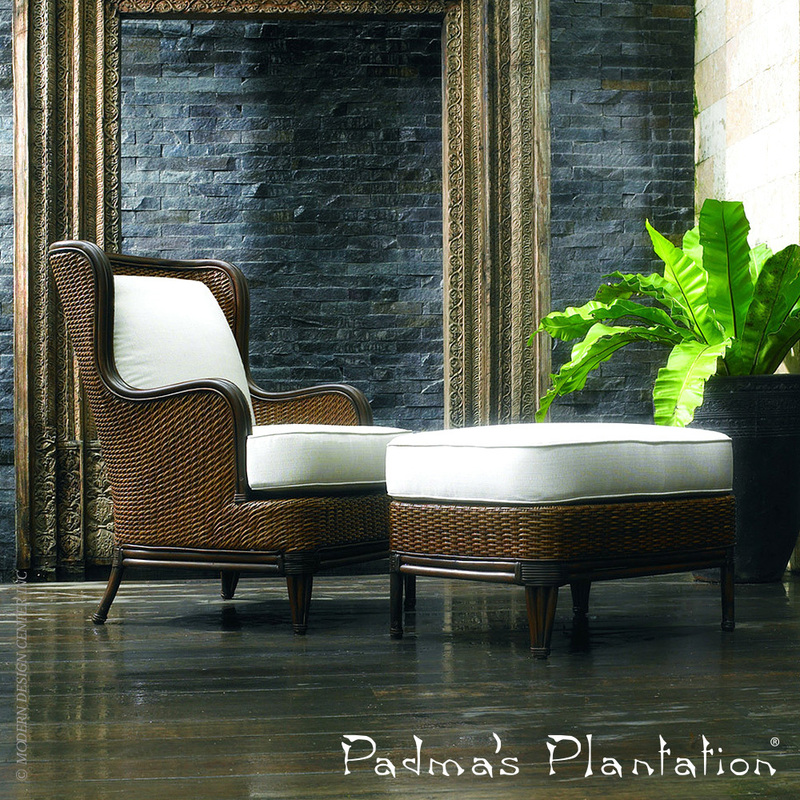 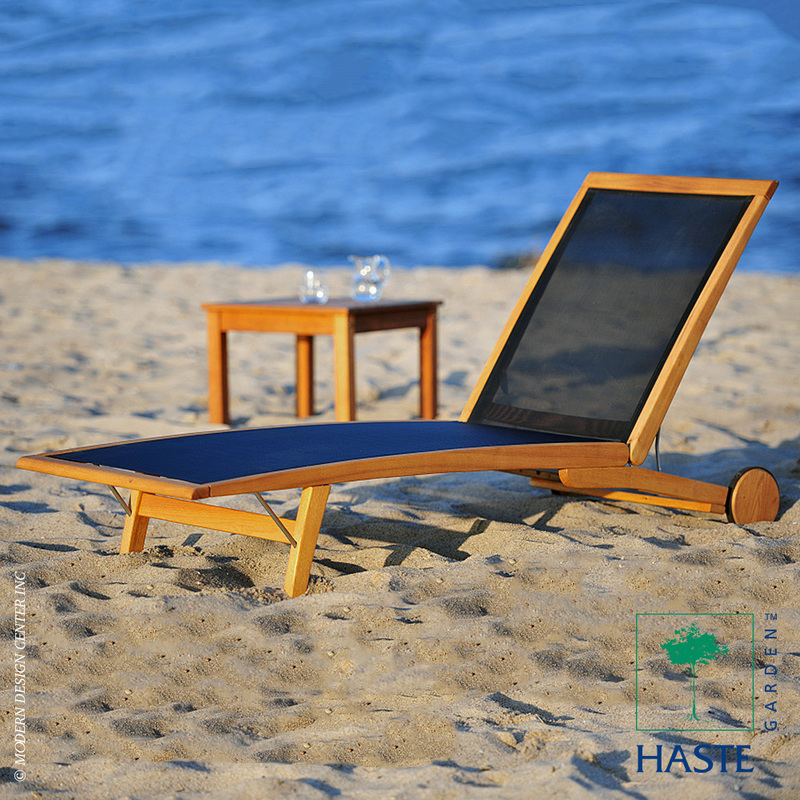 A captivating combination of Batyline and reliable robinia will assure comfort and longevity. 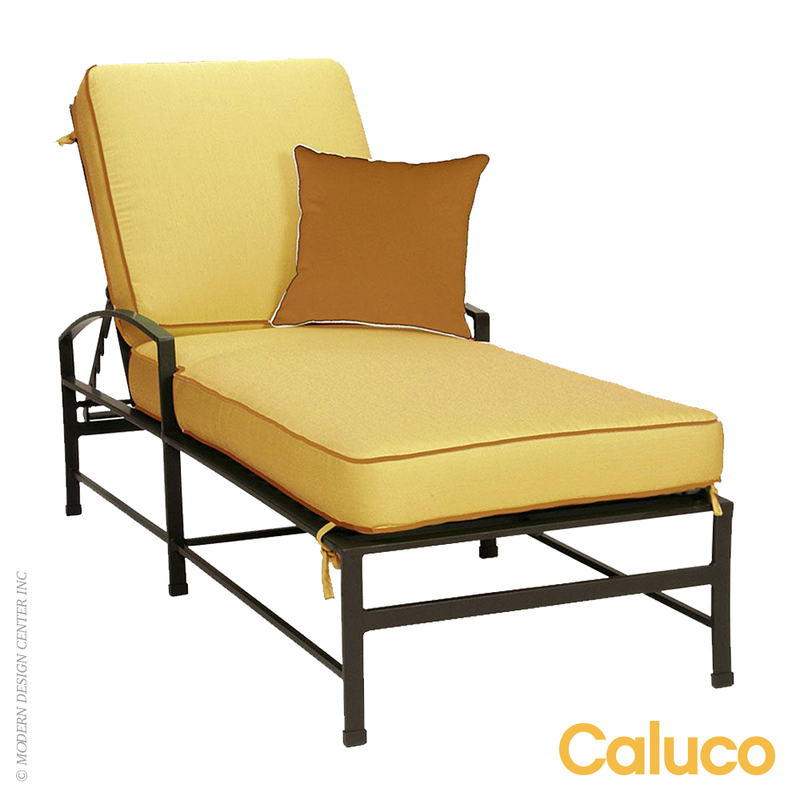 Practical as well as glamorous in one. 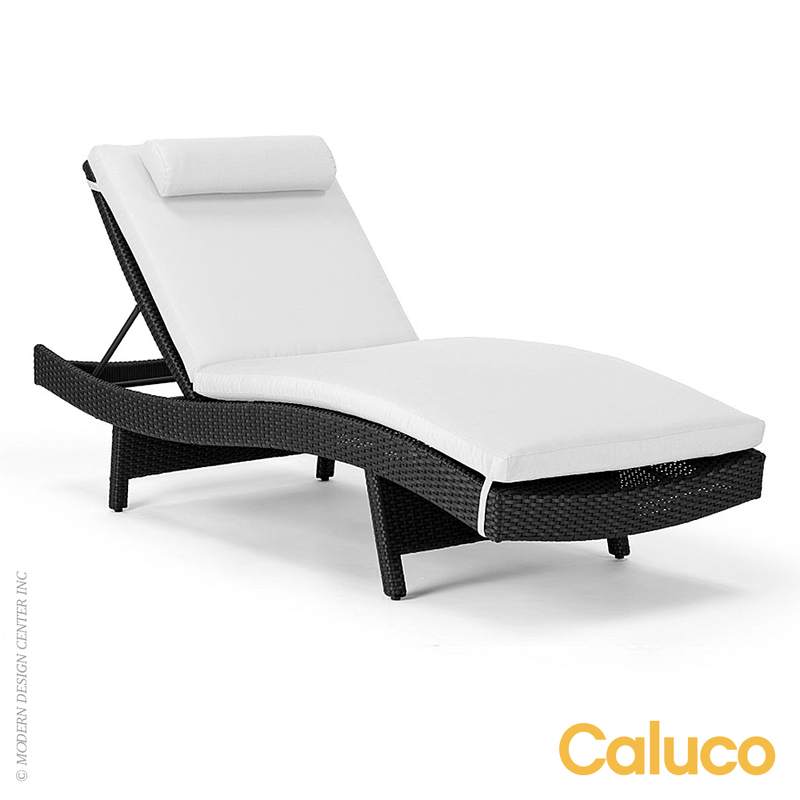 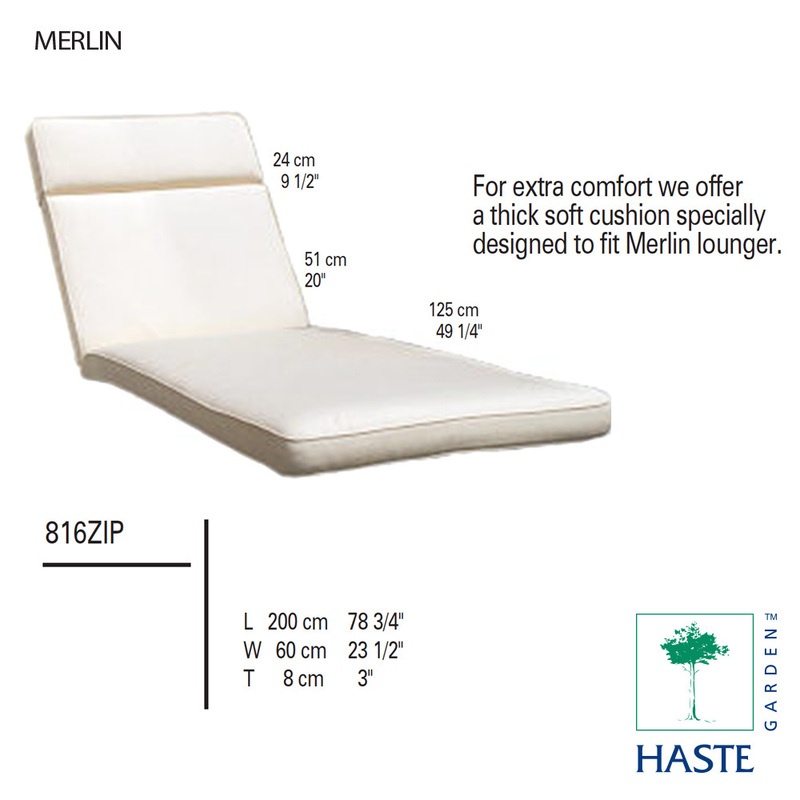 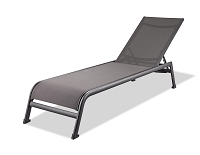 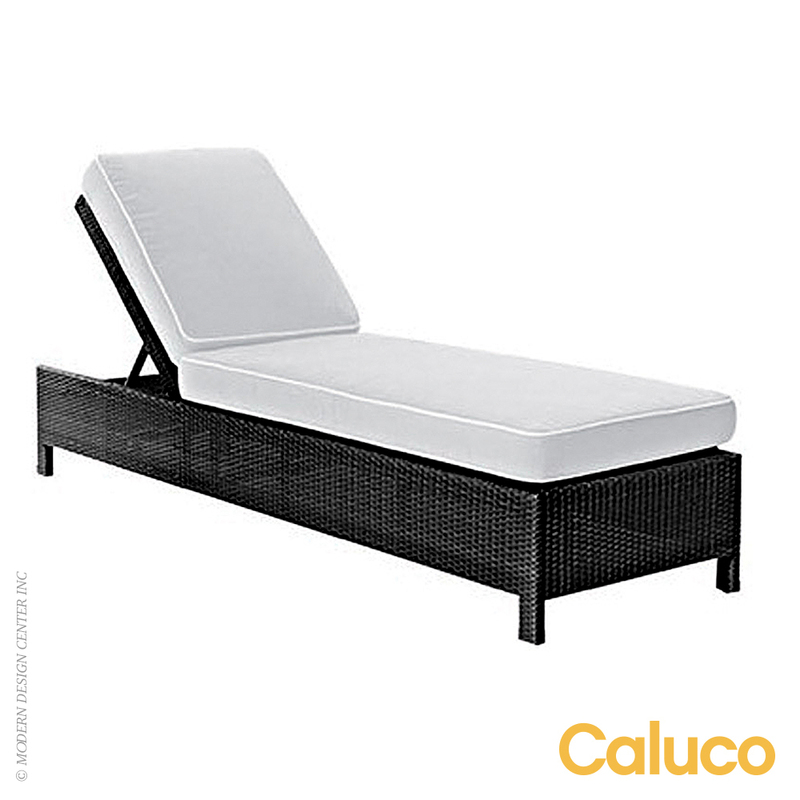 Merlin lounger can be used for relaxing, napping or sunbathing. 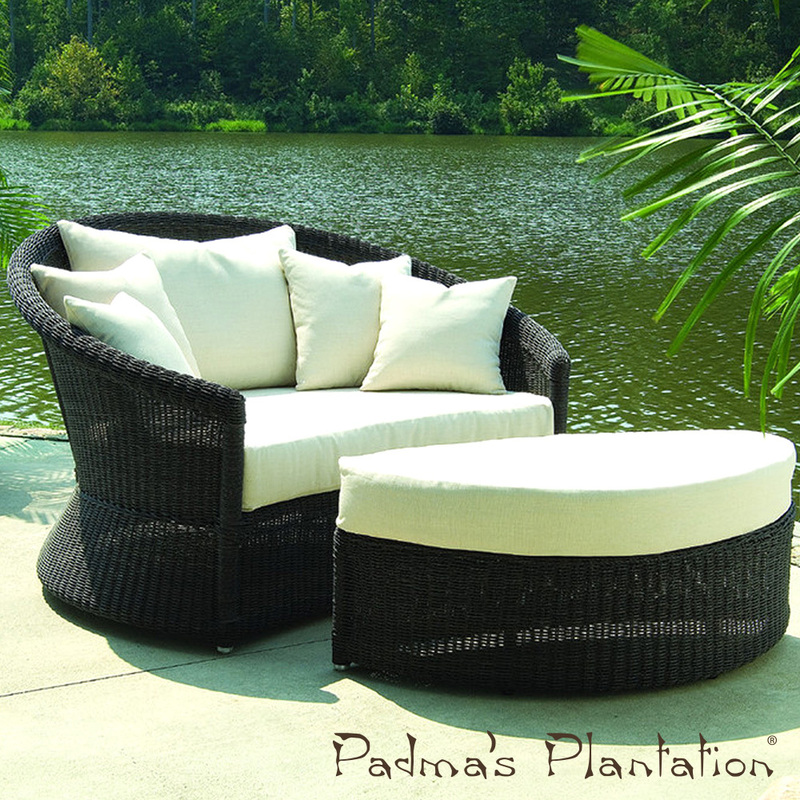 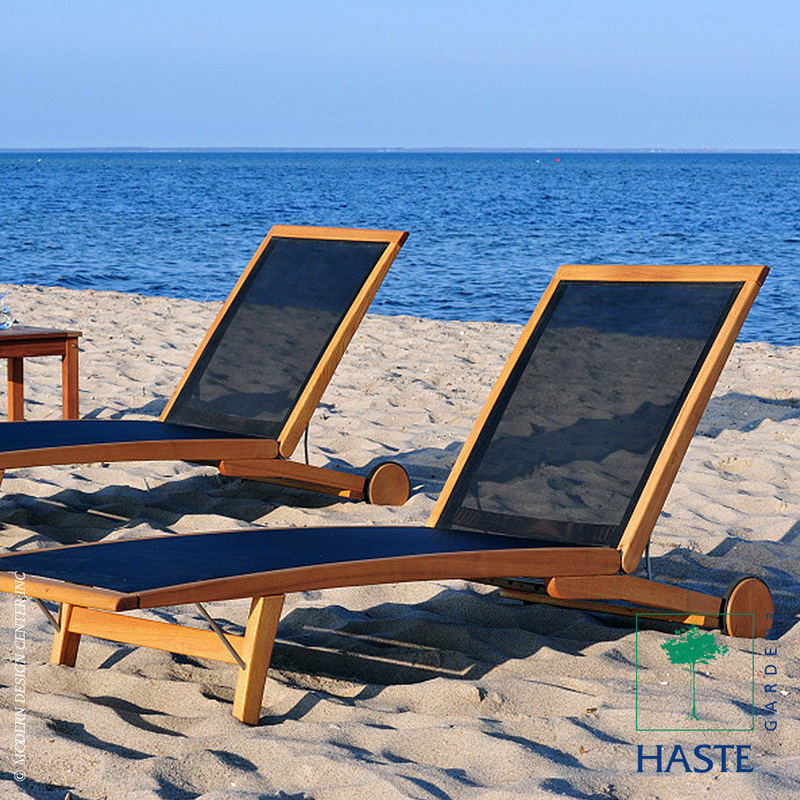 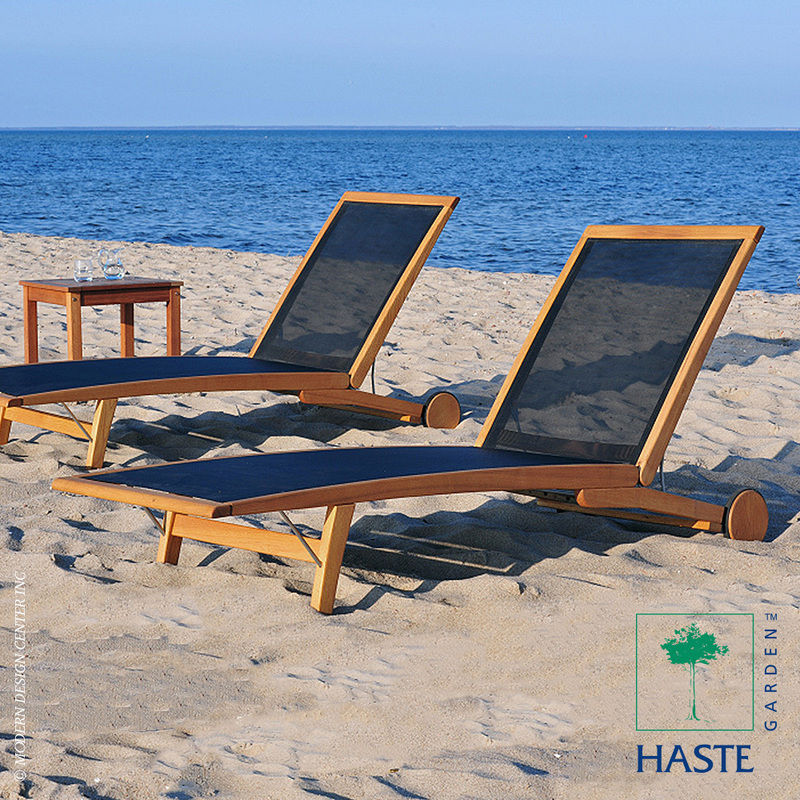 The textile used in Haste Garden furniture is Batyline ISO 62 manufactured by Ferrari. 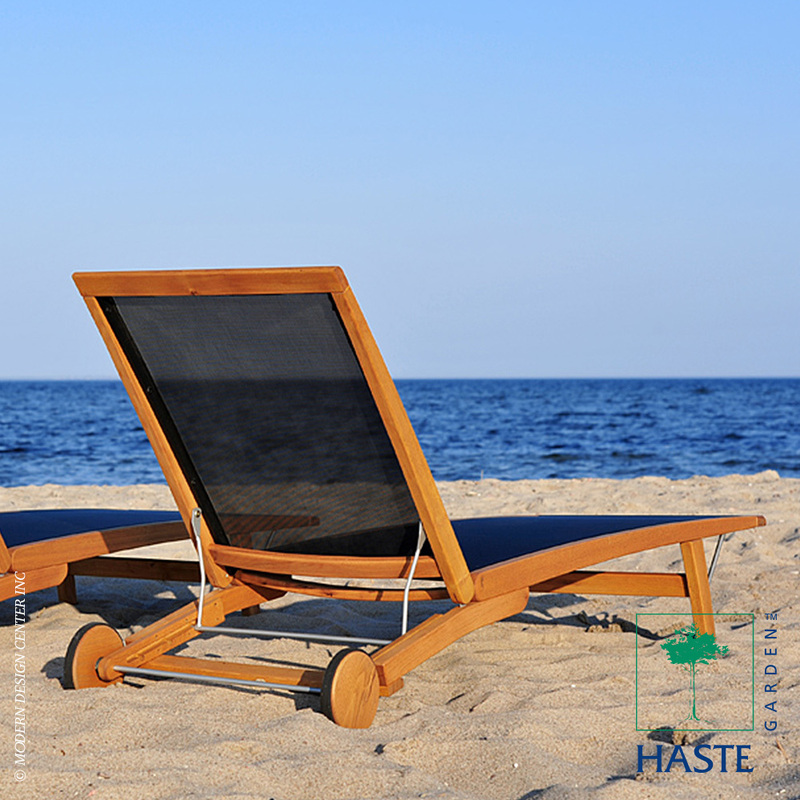 The textile remains fresh even when rapidly drying in full sun. 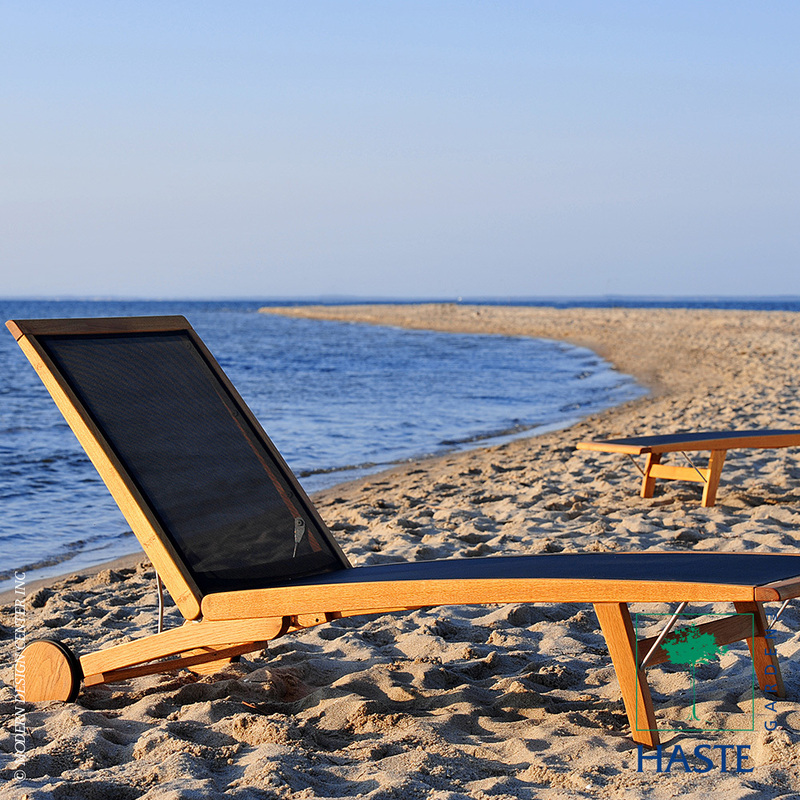 The thermo fixation process ensures exceptional tear resistance. 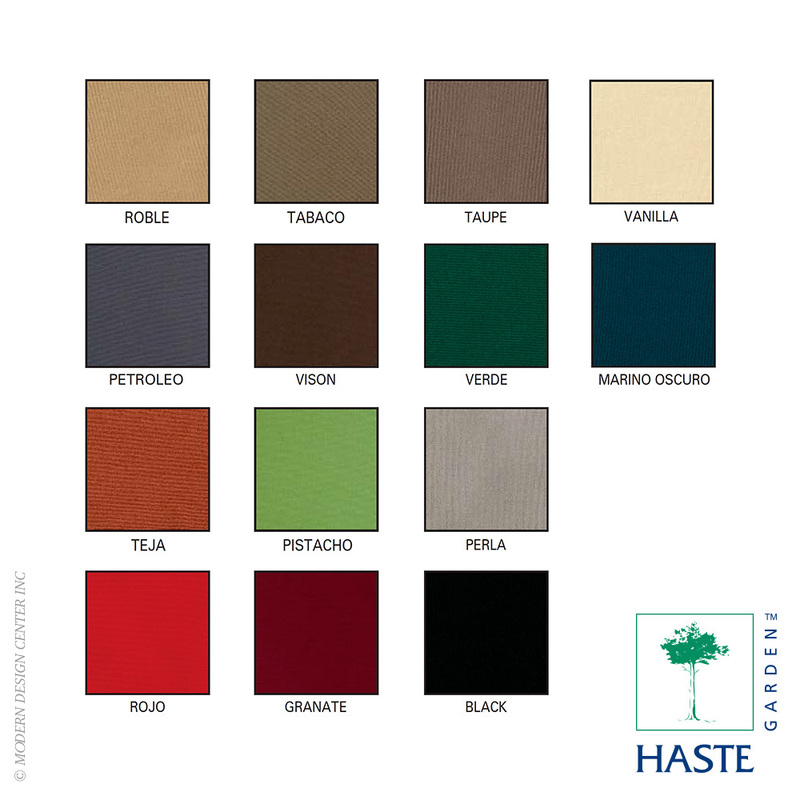 The composition of Batyline yarns ensures long-term color fastness stability.